Your discount list gives you a quick overview of the great deals you have out in the wild. Both active and expired discounts can be found here. A blue line means the discount is “pending” because you’ve set that discount to kick in at a later date. Yellow is a heads up that your discount is about to expire. Red means the discount has expired and can’t be used again. Once a discount is expired, it will move over to the Expired tab to keep things tidy. You can toggle between card view and list view by using the icon in the top right corner. 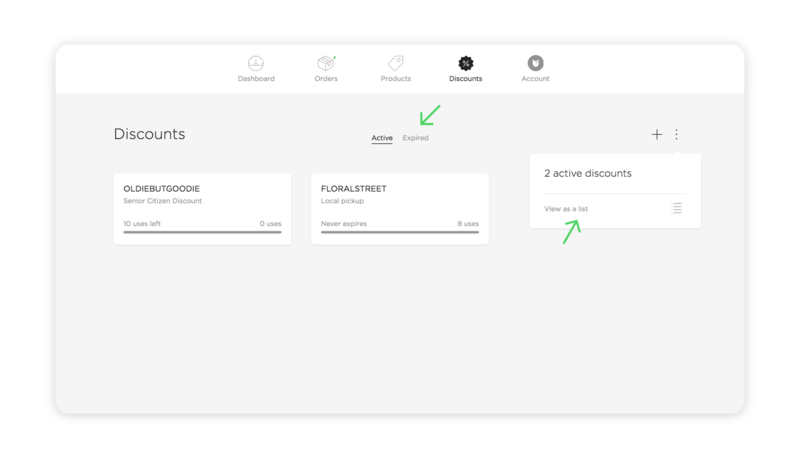 Shop owners with a ton of discounts may find the list view easier to navigate, but try both and see what works best for you. Click on the Active tab to view discounts available for use. Click on the Expired tab to view discounts that are not in use. Click the action menu and then View as a grid or View as a list to choose your desired layout. 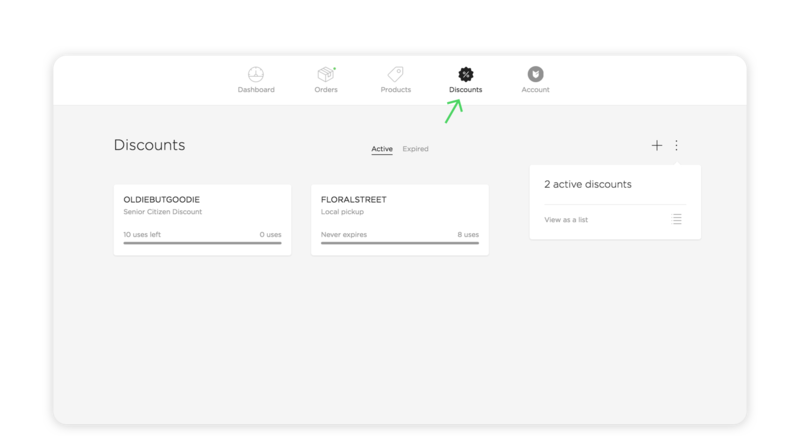 Tap on the Active tab to view discounts available for use. Tap on the Expired tab to view discounts that are not in use. Tap the action menu and then View as a grid or View as a list to choose your desired layout.